Its still a little cold to be thinking "Spring" right? 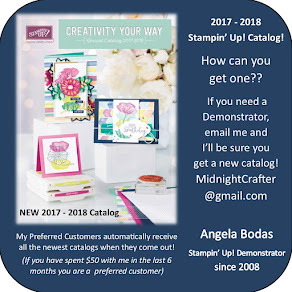 But ohhh, that Stampin' Up! 2013 Spring Catalog has come out - and its a BEAUTY! Some great new items I'm just be thrilled about! 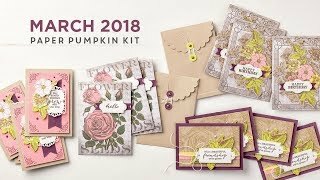 This one uses the sentiment stamp from the Sale-a-bration set Feeling Sentimental, with a banner of paper from the SAB Sycamore Street Designer Series Paper, as well as ribbons and a button from the Sycamore Street Ribbon & Button Pack. 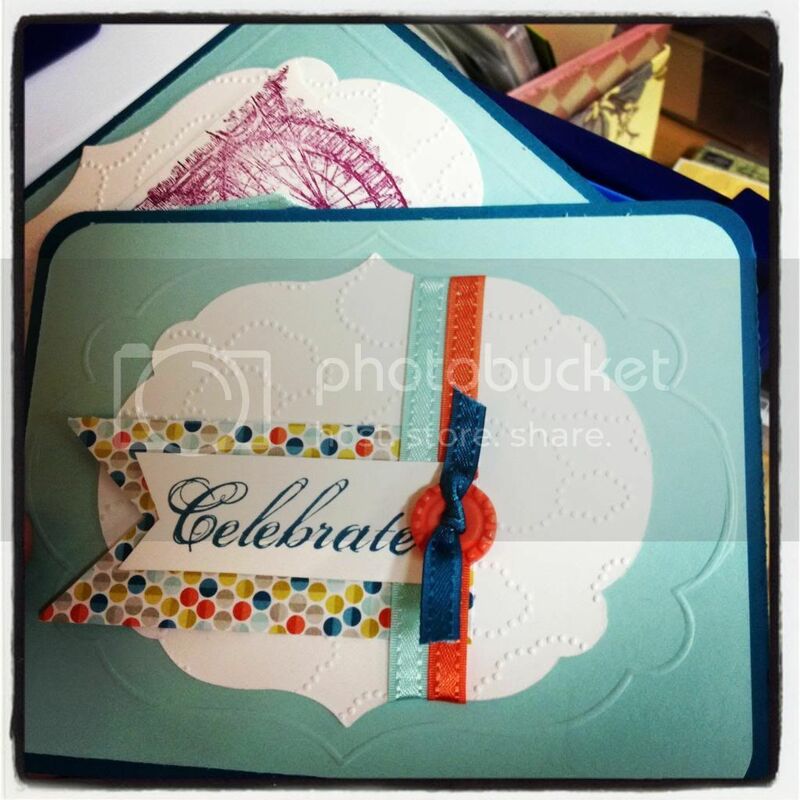 The white layer is embossed using the Textured Impressions Embossing Folder Cloudy Day, page 28 of the Spring Catalog. I cased the card from there, you'll notice. 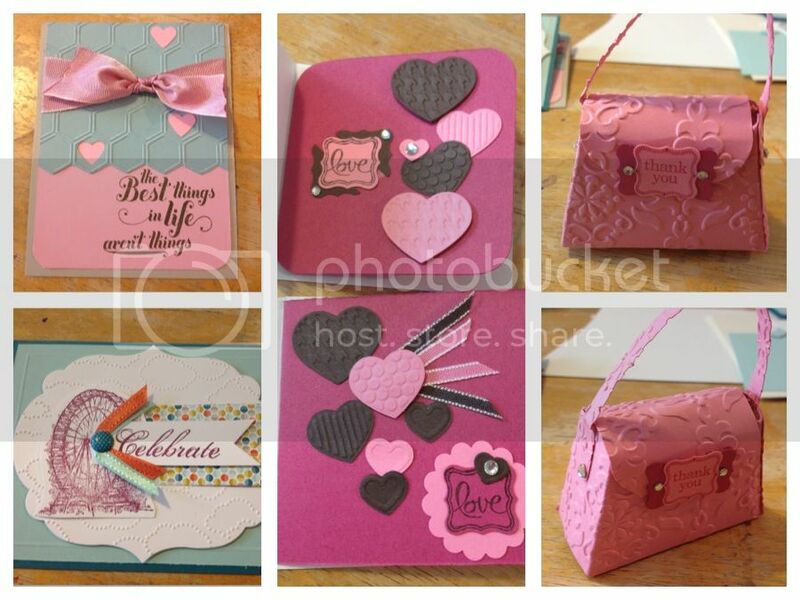 I die cut the embossed layer with the Labels Collection Framelit, and then used the new Simply Scored Borders Scoring Plate, page 26 of the Spring Catalog, to frame my die cut layer. The colors are Island Indigo, Pool Party, and Tangerine Tango. 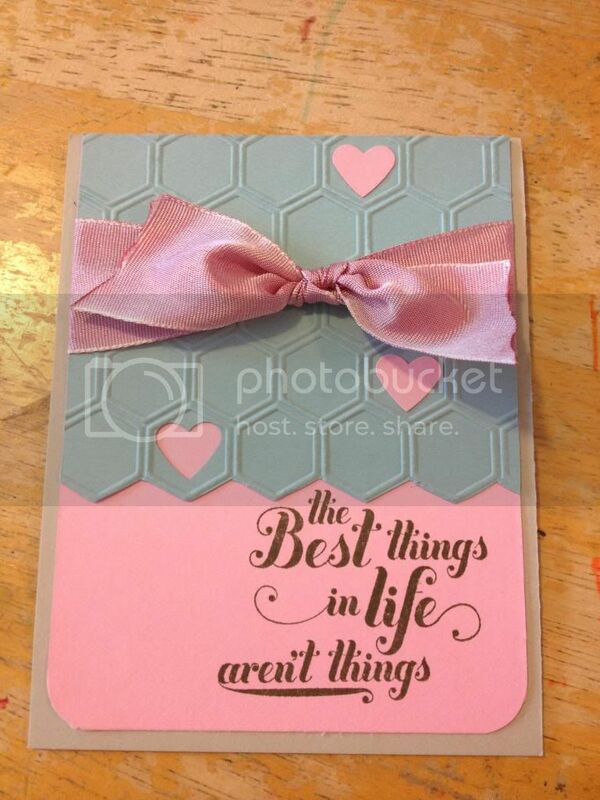 This one is all Spring: it uses that already-popular Honeycomb Textured Impressions Embossing Folder, page 6, with some of the 1 1/4" Two Tone Ribbon in Pink Pirouette/ Rose Red, page 13, and the sassy stamp is from Feel Goods, page 21. I punched out one heart from the bottom of the honeycomb, then added a couple Pink Pirouette hearts I had punched out onto other spots. The ink is Always Artichoke, and I used Baja Breeze for the honeycomb layer, Pink Pirouette underneath, all on a Sahara Sand base. The two-tone ribbon had me a little confounded, I was expecting the ribbon to have both colors - Rose and Pink, one on each face of the ribbon... but that was wrong, the two colors are woven together (as it states in the catalog, d'oh!) so that the ribbon is a really rich color, not quite one or the other, but it goes well with both. Crafty! Its a nice feeling and substantial ribbon at 1 1/4". And, I'll post a couple more later, these were my favorites of my shares. Heart Felt Wreath - I did it!